Looking for a beautiful family ornament? We will engrave your family name and each of your names on this beautiful wooden globe for a very special ornament made just for you. 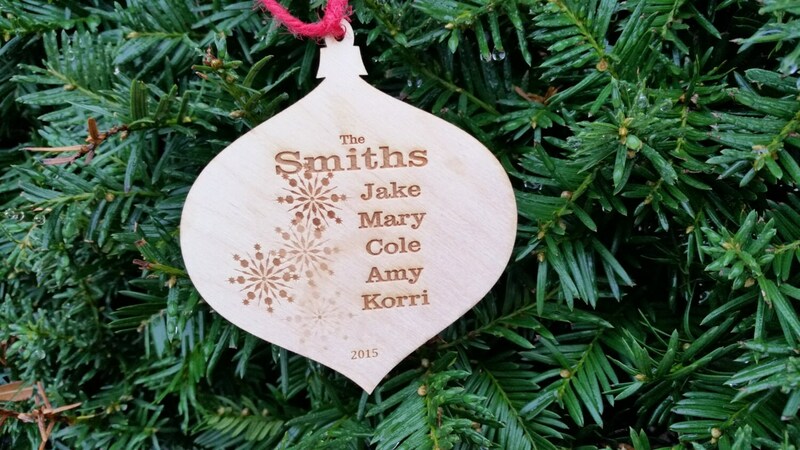 Our ornament is crafted from wood in the USA and personalized by hand by us with our laser machine. Each ornament will come nicely wrapped. Want something else written on it? No problem just let us know. Thank you for browsing FineGiftsEngraving! We look forward to working with you!